State Camp Riders get Kick Start for 2019. The 26th Annual Pony Club State Camp has wrapped up for another year, where seventy-five of the top Pony Club riders in NSW descended upon the prestigious Sydney International Equestrian Centre (SIEC) from the 6th-11th of January 2019. Riders across 6 disciplines spent the week gaining invaluable knowledge in not only their chosen discipline, but also horse health, management, and career opportunities in the equestrian and racing industries. This year the State Camp hosted coaches Peter Shaw - Dressage, Jamie Coman – Showjumping, Sam Lyle – Eventing, Jane Frankum and Sarah Venamore - Advanced Horsemanship, Anthony Newham - Mounted Games, and Phil Logue – Sporting. Evenings consisted of the hotly contested State Camp Volleyball Tournament in the indoor arena. Following this, riders had a series of guest speakers such as Team Thoroughbred NSW who spoke to the riders about career options in the racing industry; Ceva sponsored rider Dave Cameron, who spoke about his own Pony Club experience, and management of performance horses. Hygain representatives spoke to the riders about nutrition for the performance horse. The Advanced Horsemanship received a masterclass from Dr Derek Major and Ranvet, where they searched for stomach ulcers in a live gastroscoping demonstration, were taught how to take their horses vital signs, and practiced trotting up with the guidance of Dr Major, who is an FEI veterinarian. Practicing the trot up will come in handy for several riders vying for a spot at the Thoroughbred Industry Careers Pony Club Australia National Championships, also being held at SIEC from 7th-13th of October 2019. Amongst these riders is Victoria Temm, the current NSW Jumping Equitation Reserve Champion for riders 17 and Under 25. Victoria says “State Camp 2019 was an incredibly fun and educational week. Having two lessons a day with a high level coach really kick starts my year off in the best way and having the same coach for the whole week enables you to get specialised instruction in order to get the most from yourself and horse”. Pony Club NSW would like to thank our generous sponsors for State Camp: Club Colours Direct, Horseland, Hygain, Ranvet, Ceva Nature Vet, Ego Pharmaceuticals, and Hills & Hawkesbury Equestrian News. 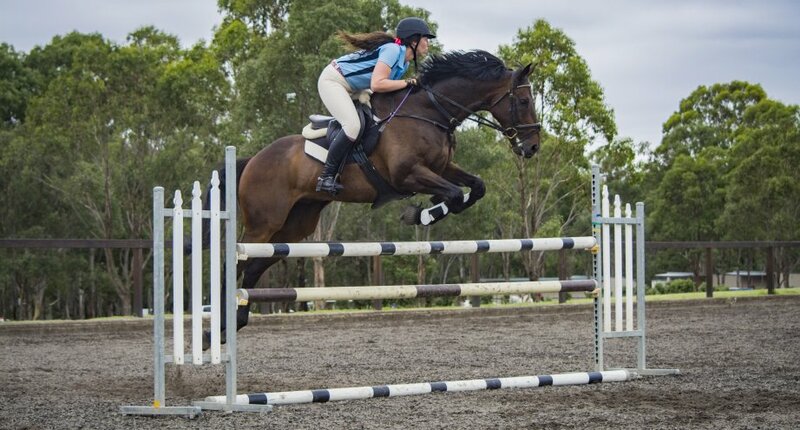 Pony Club NSW is a grass roots organisation for young equestrians up to the age of 25. 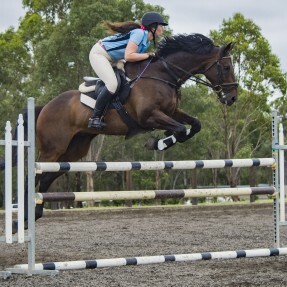 The association has fostered the growth and development of some of Australia's elite Olympic and World Championship riders, including Edwina Tops-Alexander (Avondale Pony Club), Phillip Dutton (Nyngan Pony Club) and Shane Rose (Duffy’s Forest Pony Club), and continues to do so through initiative like the State Camp. To find your local Pony Club go to http://www.pcansw.org.au/clubs/club-map. Picture Below was taken by Kelly Bridgland.